Most Reverend David Motiuk was born on January 13, 1962 in Vegreville, Alberta, the son of John and Olga (nee Sawchuk). In the 1980s, he specialized in computer science and business applications at the University of Alberta. In 1984, he began his seminary studies at Holy Spirit Seminary in Ottawa, graduating from Saint Paul University with a Bachelor Degree in Theology (1987) and a Masters and Licentiate in Canon Law (1989). He was ordained to the priesthood on August 21, 1988. From 1989 to 1993, he served as pastor of Descent of the Holy Spirit Parish in Darling, Ss. Peter and Paul Parish in Drayton Valley, and Descent of the Holy Spirit Parish in Edson. He was assistant pastor at St. Josaphat Cathedral in Edmonton from 1994 to 1996. He was Chancellor and Judicial Vicar of the Eparchy of Edmonton from 1989 to 1993, Finance Officer for the Eparchy from 1990 to 1993 and 1994 to 1996, Associate Judicial Vicar from 1993 to 1996, and a member of its College of Consultors from 1989 to 1996 and again in 2002. He was a member of the Senate of Newman Theological College in Edmonton from 1994 to 1996. In 1996, he defended his doctoral dissertation, “The Particular Law of the Ukrainian Catholic Church in Canada,” and was awarded a Doctorate in Canon Law from the Pontifical Institute of Eastern Studies in Rome. He was in charge of the formation of future priests for the Ukrainian Catholic Church in Canada at Holy Spirit Seminary in Ottawa from 1996-2001. At the same time, he taught at the Faculties of Theology and Canon Law at Saint Paul University and the Metropolitan Andrey Sheptytsky Institute. From 1997 to 2002 he was a Consultor for the Episcopal Commission for Canon Law/Inter-Rite for the Canadian Conference of Catholic Bishops. Since 2002 he has been a Consultor for the Episcopal Commission for Theology. In 2002 he became the founding pastor of St. Sophia Parish in Sherwood Park. Following his episcopal ordination on June 11, 2002, he served as Auxiliary Bishop of the Archeparchy of Winnipeg. As Auxiliary Bishop he was Protosyncellus (Vicar General) of the Archeparchy. 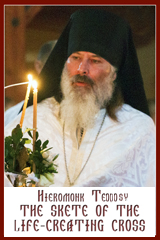 On January 25, 2007, he was appointed Bishop of the Eparchy of Edmonton and was enthroned on March 24, 2007 at St. Basil Church in Edmonton. Bishop David Motiuk is a member of the Society for the Law of the Eastern Churches, the Canadian Canon Law Society and the Canon Law Societies of America, Great Britain and Ireland, and Australia and New Zealand. “Budka, Nicetas,” in M. Glazier and M. Hellwig, eds., The Modern Catholic Encyclopedia, Collegeville, MN, Liturgical Press, 1994, p. 100. “Canon 1071: Latin Tribunal Handling Marriage Case Involving Two Eastern Catholics,” in Roman Replies and CLSA Advisory Opinions 2003, Canon Law Society of America, Washington, 2003, pp. 125-131. 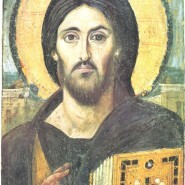 “Catholic and Orthodox Issues in Ukraine,” CLSA Proceedings, 59 (1997), pp. 204-222. Eastern Catholics in the New World: An Historical and Canonical Study of the Ukrainian Catholic Church in Canada, Ottawa, Metropolitan Andrey Sheptytsky Institute of Eastern Christian Studies and Faculty of Canon Law, 2005, xi, 424 pp.